The Alice W. Chandler Staff Service Recognition Ceremony recognizes the important contributions of our valued staff members. 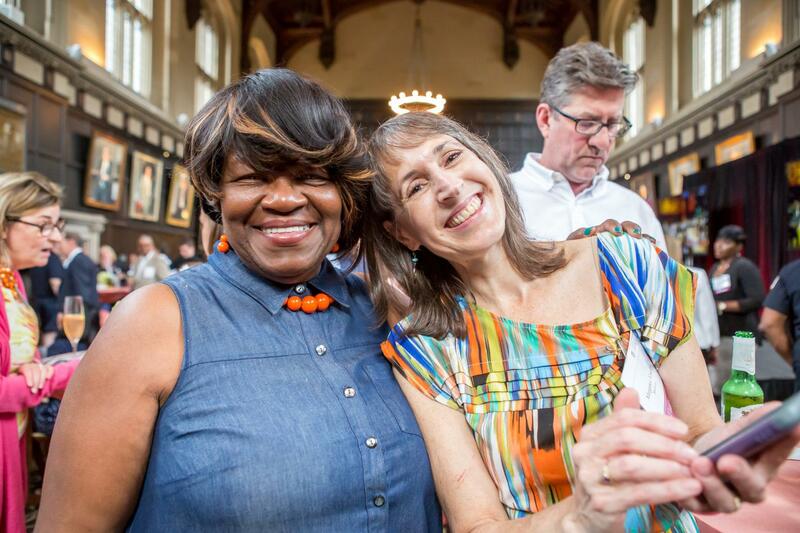 The Alice W. Chandler Staff Service Recognition Ceremony is an important way to recognize the contributions of University of Chicago staff, which are invaluable to the ongoing success and advancement of this institution. In a complex and diverse community, the loyalty and dedication of our staff members provides essential support for the achievement of the University's mission. This institution is committed to rigorous inquiry, research, and exemplary education. Our staff enables us to fulfill these missions every day, from our newest staff members to our long serving veterans, and all deserve recognition for their efforts. The 2019 Alice W. Chandler Staff Service Recognition Ceremony recognizes staff members who celebrate service milestones from July 1, 2018, through June 30, 2019. Beginning at 10 years of continuous service, the University will recognize each additional 5-year milestone of service at the event. Browse through photos from the Alice W. Chandler Staff Service Recognition Ceremony Reception.